Please consider that we are a totally non-smoking van ( including e-cigs ), and we do not accept pets. 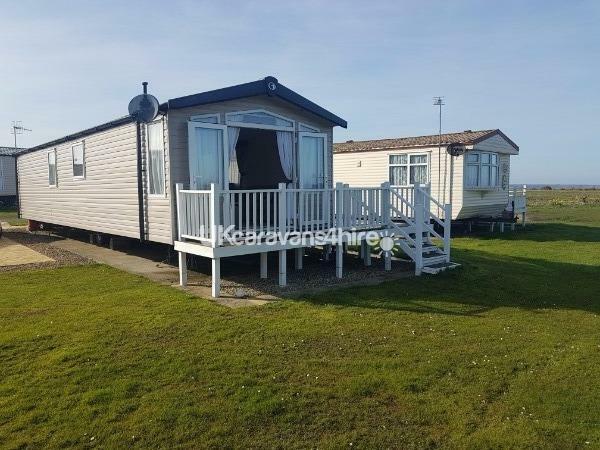 Welcome to our luxury Swift Bordeaux Exclusive 2-bed caravan with veranda, sea views, double glazing, central heating, fridge/freezer, oven, hob, microwave, TV's, DVD, full-sized beds, a big en-suite bedroom at the rear. 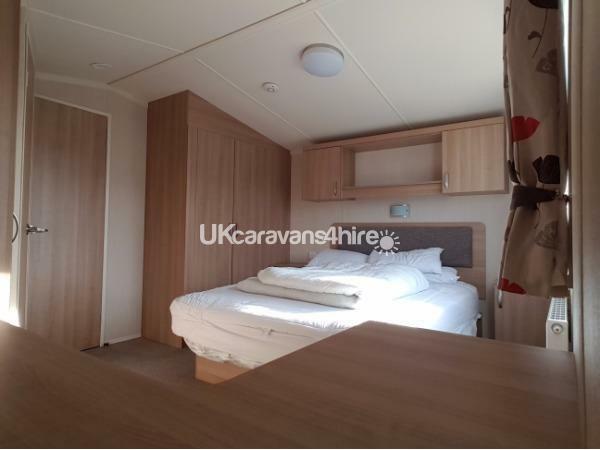 Our exceptionally well equipped caravan can accommodate 4 people comfortably. 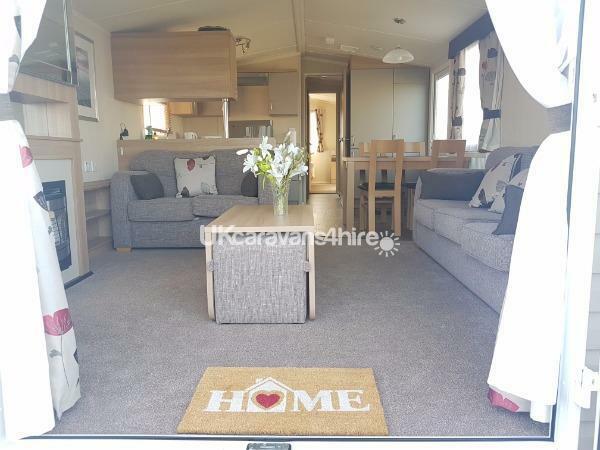 We understand what its like to have holidays both with and without the kids in tow which is why we are so proud of the fact that the caravan has something for everyone. We are located in a quiet area of the park with a sea view and overlooking a large grassed area, yet still handy for the busy and vibrant entertainment complex. On a warm summers day it's nice to open the doors at the front of the van and let the sounds of the sea, and the "sea air" in and the stress melt away. We also have a large selection of family board games and a variety of current DVD's for kids and adults alike. There is also a number of beach games and buckets and spades that you can borrow to make the most out of the beach. Reighton Sands is a "Haven" park with all the usual facilities. We don't include passes, but these are available from the office. We also have a key safe, so there is no need to join the arrivals queue to get into the van. We pride ourselves on truly being a home from home and look forward to sharing our special getaway from it all place with you. Very clean .. great location with lovely sea veiws. Only 10 mins walk to entertianment. 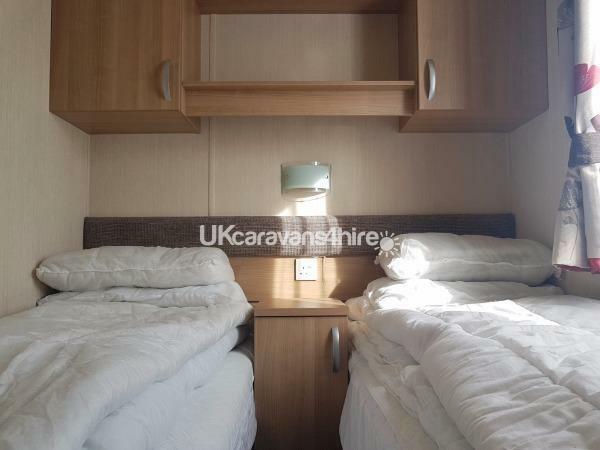 Caravan very well equipped. Beds very comfortable.. best caravan we have stopped in on the east coast. . Would deffinetly reccomend. A must stay caravan. You won't be disappointed. Ease of booking thanks to owners. We had a great holiday ! !